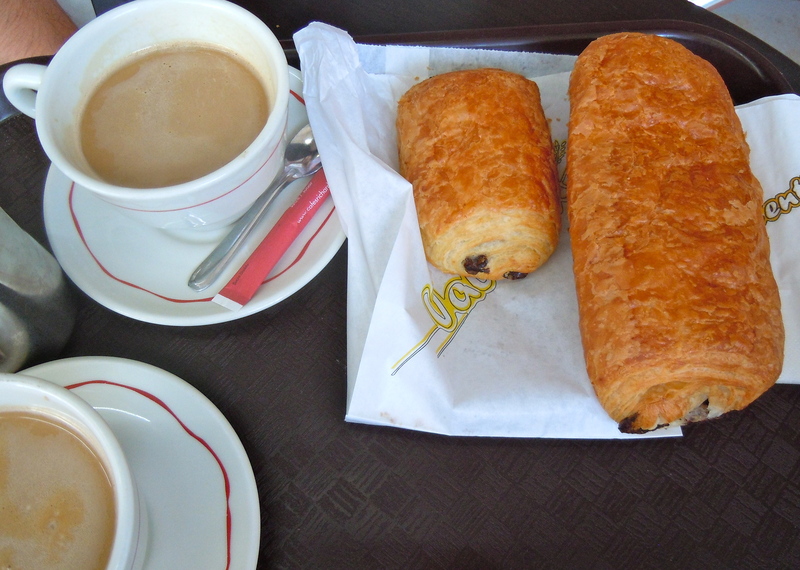 The biggest pain au chocolat in the world, at Rennes station. The restaurant of second chances. What the recent Iran deal means for pistachios. A brief history of America’s food stamp programme. What recipe books tell us about the American Civil War. Farming cranberries organically is very difficult. What not to do at a farmers’ market. Paying for your food with poker. How Iceland is coping with international demand for skyr. Microbes and the making of cheese. Make your own shao mai. GK Chesterton’s The Neglect of Cheese in European Literature. The politics of Japan’s tea ceremony. Coffee is neither good nor bad for you. Writing the history of Los Angeles through menus. From Zola’s The Belly of Paris. Making ramen in the US. An American sells ramen in Tokyo. Eighteenth-century Americans drank a lot of alcohol. A guide to duck eggs. A guide to Indian vegetables. A guide to Icelandic cooking. The joy of Norwegian brown cheese.